Tired of having to take responsibility for dubious actions and poor decisions of the ANC and government that it does not agree with, the SA Communist Party has put its alliance partner on terms – change the way the alliance operates or potentially face contesting elections against the SACP. By JILLIAN GREEN. The SA Communist Party is holding internal discussions about whether to actively campaign to have President Jacob Zuma removed. On Sunday, City Press reported that during a bilateral meeting between the alliance partners on Monday March 13, the SACP gave the ANC an ultimatum – revoke the Guptas’ citizenship, kick former Eskom CEO Brian Molefe out of Parliament and investigate Sassa, or the party would up the ante and start a campaign for Zuma to step down. But speaking to Daily Maverick, second deputy Secretary-General of the SACP, Solly Mapaila said while Monday’s discussions focused on the Guptas, Molefe and Sassa, they were not used as an ultimatum to start a campaign against Zuma. “That (the Zuma campaign) was an internal discussion that should not be in the public domain,” Mapaila said, adding that he would not comment on it further. Since last year, the SACP has called on Zuma to distance himself from the Gupta family, but Zuma is yet to do so. Mapaila said their issues with the ANC-led alliance went beyond individual leaders and personalities and these broad ranging issues formed the basis for their Monday meeting. The ANC requested that the discussion be postponed to March 27 so that they could prepare their responses. The SACP finds itself questioning its position within the alliance as it often fis forced to take responsibility for the actions and decisions of the ANC and the government even though it did not have a direct say in those actions or decisions, Mapaila explained. Monday’s discussions – attended by the top six as well as the national working committee of the ANC and the top six, as well as the politburo of the SACP – focused on five key categories covering 30 points, including the revoking of the Guptas’ citizenship, Molefe’s role in Parliament and the embarrassing social grants issue. “We feel things have gone overboard (as far as the Guptas are concerned) and we spoke about the toxic role of the Gupta family that continues in the movement. We believe that in order to remove the influence that they exert on ministers and some members of the alliance, they should not be allowed in the country…If they stay, how do we know that decisions are not being taken with the interests of a particular group in mind rather than in the interests of the country?” Mapaila said. Mapaila also said the SACP did not agree with the decision to appoint Molefe as a member of Parliament. “We should have been consulted. Molefe resigned from Eskom amid allegations of misconduct, yet he was immediately offered space in parliament. This is reflective of the level of impunity,” he said, adding that they had called on the ANC not to deploy Molefe beyond parliament until the matters raised in the Public Protector’s State of Capture report were resolved. Mapaila described the social grants debacle as a “loss of credibility” for the government which was being seen as unable to act decisively out of concern for the damage of reputation to an individual. The way the alliance co-operates is outdated and needs to change. “Actions are being taken outside of policy that we are being held accountable for, we cannot have that,” he said. But this did not necessarily mean that the SACP was looking to break away from the alliance. Mapaila said the SACP would be consulting its members through a series of imbizos across the country. “There are some within the party who feel that we should contest the elections as a separate party from the ANC as this would safeguard the integrity of the SACP. Others feel that we should change the way the current alliance operates to ensure that the views of the SACP are considered,” Mapaila said. ANC national spokesman Zizi Kodwa said the party refrains from ventilating its issues with alliance partners in the public domain but would raise them through its bilateral meetings. SACP general secretary Blade Nzimande has been more candid. 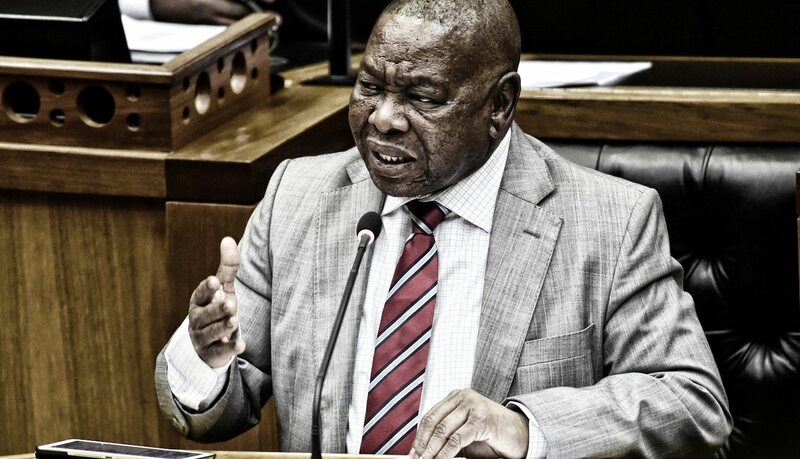 On Sunday, while delivering the OR Tambo memorial lecture in Umlazi, Nzimande called on the party to consider independently standing for elections. According to recordings of his address, Nzimande said he was tired of defending the ANC’s bad decisions. “What you also do not want in the alliance is for one person or one structure of the ANC to take a wrong decision and we are expected to defend a wrong decision just because we are an alliance. We are no longer prepared to do that,” Nzimande said. Nzimande accused the alliance of taking decisions unilaterally. “You are endorsed by the ANC and the alliance partners. We all campaign together. But when we come back, some decisions are taken by an individual or an ANC PEC or REC. No, that must come to an end,” said Nzimande. The Higher Education Minister in Zuma’s cabinet said it felt that the party was not in alliance with the ANC but it “feels like we are in an alliance with a dominant faction”. The SACP will hold a conference in July and its alliance with the ANC is expected to dominate the agenda. Political analyst Steven Friedman said he was “sceptical” over whether the SACP would decide to contest the elections independently. “The do not want to leave the alliance, they want to change it,” he said. Friedman said the current alliance was unusual in that it was not made up of parties that contested the elections separately and then decided to work together afterwards.